If any one has questions about ultralight aircraft and ROTAX engines I am happy to answer your questions. Join in and write your own page! It's easy to do. How? Simply click here to return to Ask Your Ultralight Questions. can you cross into mexico and come back and what does the ulrtralight need and what do i need or need to know? has anyone flown around the Gulf of Mexico down to Belize? How do you use the spoilers on a quicksilver mx11 in conjunction with the rudder. the spoilers are connected to the foot pedals and rudder is on the stick. I have owned and flown a Chinookwt11 for 10 yrs, But this aircraft is a different kettle of fish. Do you deploy left spoiler to turn left as you use the rudder? Regards John. I have a tierra with a 277 mounted above the wing. Its almost impossible to pull the recoil starter through the wing. I brought it in this condition. It has spent most of its life in storage. Is there any problem with mounting the engine inverted under the wing? I have been wanting to purchase an ultralight for quite some time now. 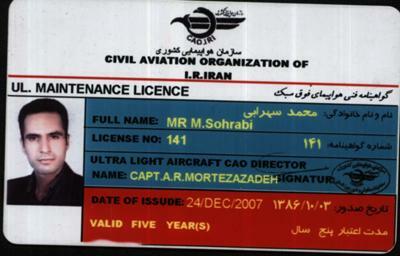 Finally it looks like I can so I need to find out some details like what kind of pilots license do I need and where can I get one? How does a plane stay in the air? How does an Ultralight aircraft steer? 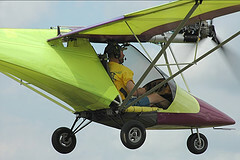 Does anyone know of an ultralight airplane club in the Scottsdale Arizona area? 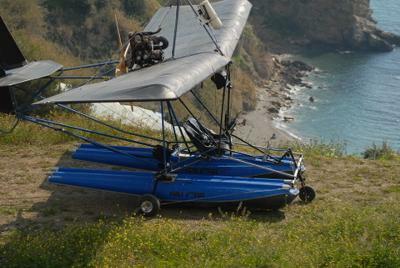 Hello, In which countries can work leading tourism anfivio Ultralight on floats? Seeking a drive cog for a 1983 Tierra II ultralight aircraft. Rotax 377 engine drives a 2.4:1 redrive that uses a Gates 800-8M-50 cog belt(2). Unit has clutch to prevent prop turning at idle. Would like to know who made these units, are they still in business and how to contact them. Can you help? Are there any enclosed cabin Ultralight Helicopters available that meet the requirements of FAR 103 other than the Mosquito XEL? How good a ultralight is this? what would be the cost of new sails? Is 3 axis? I have a friend that has two Goldwing Ultralights that he needs to sell. They are complete, in great condition, and I believe ready to fly. One has a 47 Rotax. The other is 25 hp Cayuna (?). Includes a trailer. These are nice planes that need a home. I'm not a pilot and have no idea what they are worth. Internet searches seem to only turn up dealers for Honda Goldwings or YouTube of people flying. Why must an airplane be aerodynamic? ooh what fun these little babies are. A friend has recently moved to the Colorado Springs area and needs to locate an ultralight club. What is the best ultralight aircraft to purchase? 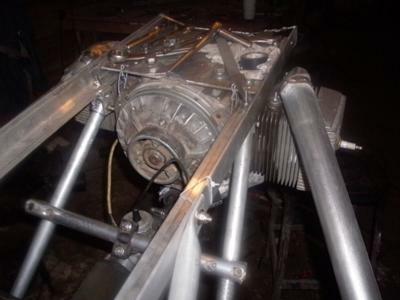 I have a Koenig, 4 cyl, radial engine and want to install it on an old Wizard weight shift ultralight. Looking for a way to mount engine and prop shaft. Also, how do I find the CG to mount engine? I recently bought a 1983 Tierra aircraft. I have built a weedhopper and a Hi-Max. I now have a Tierra that I would like to refurbish. What I don't like about it are the main wings. They ate OK, except they have a mylar coating on them and it's beginning to peel off and makes the plane look like crap. The weedhopper had floating wing ribs that I didn't care for at all. The Hi-Max was more my liking, but was destroyed in a flood we had here in 1998. What I'd like to do with the Tierra is to get aircraft aluminum and fashion ribs around the leading and trailing tubes and pop rivet them in. Then cover the wings with the same dacron that I used on the Hi-Max, iron in on for the tightness, then paint it. Can this be done, or am I wasting my time with this project? Where can I find information on ultralight aircraft belt systems. Where can I go for flight training in the Chicago land area? I live in Lockport Il. 1)can we use 11 horsepower yamaha rx 100 bike engine for ultralight airplane?? 2)Is engine rmp equal to the propeller rmp? 3)how much propeller rmp required to take off the ultralight? thank you waiting for your rply. are the ailerons supposed to droop 1 or 1.5 inches? is the port aileron heavier than the stbd.? how do you set the ailerons? i don't have any idea what this motor is? which 2 place lsa's have easy folding wings?